The golden ratio is widely known as the divine proportion that was employed in historical architectures such as pyramids and the Pantheon. But do you know there is also silver ratio? While the golden ration is 1:1.6, the silver ratio is 1:1.4. 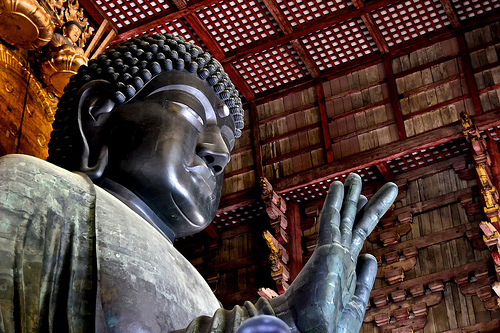 In Japan, the silver ratio has been considered to be the most beautiful proportion down the ages and called “Yamato-hi,” meaning “Japanese Ratio.” It has been used in classical architectures and arts such as the faces of Budda statues and ikebana (Japanese style flower arrangement). 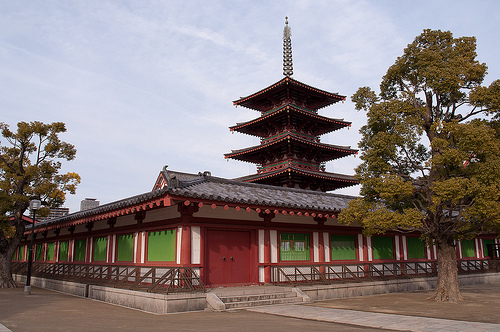 For example, the architectures in these temples below exhibit the silver ratio. Buddhist temple “Shitenno-ji ” in Osaka. 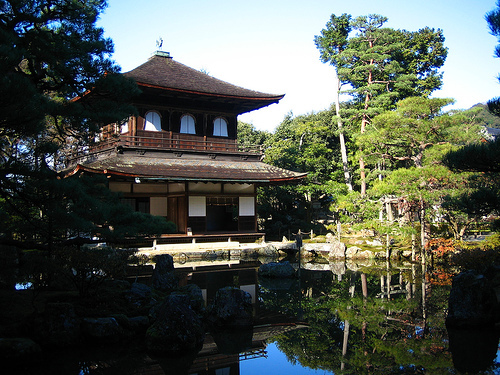 Zen temple “GInkaku-ji (Temple of the Silver Pavilion)” in Kyoto. 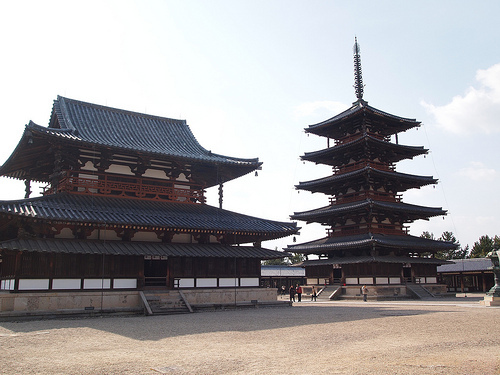 Buddhist temple, “Horyu-ji” in Nara. Interestingly, a study showed that Japanese people of today like the silver ratio better than the golden ratio. I wonder if it is because we are familiar with the silver ratio and see it so often. Another interesting thing is that the Japanese also like square, according to the same study.